Background and Objective: Dispersion of silver compounds onto appropriate support is an adequate procedure for fabricating active photocatalysts for degradation of environmental pollutants. The current study investigated the dispersion of AG3PO4 as potential photocatalyst onto MCM-41 as a mesoporous support. Materials and Methods: The disodium hydrogen phosphate was found to be an appropriate source of phosphate for the synthesis of AG3PO4/MCM-41. Two different procedures of post-synthesis and during-synthesis methods were used for preparation of the photocatalysts. Accurate structural and analytical methods were used for characterization of the prepared photocatalysts. Results: The XRD results revealed that all the materials showed a body-centered cubic crystal structure. Maximum Elimination of methylene blue dye was found within 15 min, in slightly acidic media in the presence of photocatalyst. Pseudo first order was the best fitted model for this study. Conclusion: The post-synthesized AG3PO4/MCM-41 showed the highest capability for elimination of methylene blue and 2,4-dichlorophenol. Part of this capability for elimination of methylene blue is due to its adsorption onto the photocatalyst. Heterogeneous photocatalysis is considered as an advanced and effective approach for the removal of organic pollutants from wastewater sources. Therefore, development of the efficient, sustainable and visible-light-reactive photocatalytic materials remains a challenge. During the last decade an increasingly great number of new materials have been synthesized and examined as promising photocatalysts1,2. These materials are different compounds or composites with distinct composition and structure. Among these visible light sensitive photocatalysts, some containing Bi2WO63,4, BiVO45,6 and AG3PO47-9 have currently been investigated and exploited. They have shown relatively good performance for degradation of certain pollutants. For enhancement of the photochemical reactivity of them certain approaches are utilized. For example, various techniques including structure control10, hetero-coupling11-14 and plasmon assist15 have been employed to modify AG3PO4 for better functioning. As is known, photocatalytic reaction is carried out on the semiconductor surface and the morphology as well as the extent of the exposed area have great influence on photocatalytic efficiency. Therefore, great attention has been devoted to the surface engineering to obtain materials with higher photoactive properties. Supporting AG3PO4 on the mesoporous materials is a fascinating alternative for surface engineering16-18. This requires considerable attention because ordered mesoporous materials have enormous surface area, adjustable pore size and limited pore size distribution19,20. One of the most utilized mesoporous materials is MCM-41 which is an inorganic silica based material and exhibits a uniform hexagonal arrangement of cylindrical pores. In this contribution, this study designed a new composite photocatalyst by supporting AG3PO4 onto MCM-41. Two different procedures for preparation of these photocatalysts were used and tested them for the efficient degradation of methylene blue (MB) and 2,4-dichlorophenol (DCP). Present results showed that the photocatalytic activity of the post-synthesized AG3PO4/MCM-41was remarkably better than pure AG3PO4 nanoparticles. Reagents and materials: Tetraethyl orthosilicate (TEOS) was purchased from ACROS. N-cetyltrimethylammonium-bromide (CTMABr), ethylamine, ethanol, methylene blue, 2,4-DCP, NH3, HCl, Na2HPO4·12H2O, AGNO3 were obtained from Merck. The pH of the reaction mixture was adjusted to 8.5 by adding of hydrochloric acid solution (1.0 M) to the mixture. At this stage, the precipitate was formed. After 2 h, under stirring, the precipitate was separated and washed by centrifugation. The sample was dried at 45°C for 12 h. The prepared MCM-41 was calcined at 550°C for 5 h to decompose the template. The product was collected as a white powder form. Preparation of AG3PO4/MCM-41: The nano-structured AG3PO4/MCM-41 materials were synthesized using hydrothermal method. Addition of AG3PO4 to the structure of MCM-41 was performed in two different ways. In the first approach the prepared MCM-41 was added to the synthesis composition of AG3PO4. This procedure was called as a Post-Synthesis method. In the second approach the precursors for preparation of MCM-41 were added to the solution containing silver nitrate and disodium hydrogen phosphate. This procedure was called a During-Synthesis method. As a typical procedure, in the first method 5.1 g silver nitrate and 0.036 g CTAB were added into 40 mL of deionized water to form solution 1. To 10 mL of deionized water, 2.7 g disodium hydrogen phosphate was added and then the solution was heated to 40°C with continuous stirring for 30 min. Then, 0.5 g of the calcined MCM-41 was added into this solution. This suspension was then added into solution 1 with continuous stirring for 30 min to form yellow colloidal solution. The mixture was stirred at room temperature for 60 min. The solid was then collected by filtration. Finally, the obtained powder were dried in an oven at 100°C and then calcined in air at 450°C for 4 h. This sample was designated as AG3PO4/MCM-41(PS). In the second procedure, 5.1 g silver nitrate and 0.036 g cetyltrimethylammonium bromide (CTMABr) were added into 40 mL of deionized water to form solution 1. To 10 mL of deionized water, 2.7 g disodium hydrogen phosphate was added and then the solution was heated to 40°C with continuous stirring for 30 min to form solution 2. Solution 2 was then added into solution 1 with continuous stirring while adding TEOS. Other steps were replication such as those mentioned for the preparation of the pure MCM-41. This sample was designated as AG3PO4/MCM-41(DS). A pure AG3PO4 sample was also prepared for comparison with AG3PO4/MCM-41 samples of present research. Characterization: A Philips PW1840 X-ray diffractometer with Cu Kα radiation were used to obtain the powder XRD patterns. A Mira 3-XMU field-emission scanning electron microscope (FESEM) was used to observe the morphology and size of the prepared samples. The energy-dispersive X-ray spectrometry (EDS) was performed to obtain the chemical compositions of the samples. The UV-vis diffuse reflectance spectra (DRS) of the samples were recorded within the wavelength range of 400-700 nm by a Shimadzu UV-2100 spectrophotometer equipped with an integrating sphere attachment. BaSO4 was used as a reflectance standard. The photochemical reactor was a beaker containing suspension of MB or DCP solutions and the solid photocatalyst. It was placed in a ventilated chamber elaborated in laboratory. The suspension was magnetically stirred during the course of irradiation. The UV radiation was carried out with a 400 W Krypton lamp (Osram) and visible illumination was performed with a 100 W tungsten lamp (Toshiba). The irradiation range of the UV lamp is 90% in the UV-A (400-315) and 10% in the UV-B (315-280 nm) region. The distance between the lamp and the reactor is about 30 cm for all the experiments. Before starting to irradiation, the sample was stirred in the dark for 15 min to establish an adsorption-desorption equilibrium between the photocatalyst surface and MB (or DCP). Following irradiation, regular sampling and removal of the photocatalyst particles by centrifugation, the concentration of the residual MB or DCP were analyzed by spectrophotometric method. A Shimadzu UV-2100 spectrophotometer was employed for the measurement of the concentration. All the experiments were conducted at room temperature. The aqueous MB/catalyst or DCP/catalyst suspensions were prepared by the addition of 50 mg catalysts to 50 mL aqueous solution of the probe pollutant when a visible light irradiation was exploited. For the UV degradation experiment, less amount of the catalyst (30 mg) was used. The initial concentration of MB and DCP was 20 mg L1 in each experiment. A neutral media of pH about 7 was used in all the experiments. XRD analysis: The low angle XRD patterns for MCM-41 and the calcined MCM-41 were shown in Fig. 1. The diffraction patterns showed typical low angle characteristic reflections for MCM-4122. These correspond to the planes 100, 110, 200 and 210 respectively. The weaker reflections corresponding to the planes 110, 200 and 210 could hardly be seen for the calcined MCM-41 (Fig. 1b). The frequent disappearing of these weak reflections has been assigned to disordering of the array of meso channels of MCM-41 samples which had suffered the calcination step23. The small shift of the main diffraction peak toward higher 2θ for the calcined MCM-41is because of the shrinkage of the structure which has happened because of the template removal due to calcinations24. The XRD patterns of the prepared photocatalysts (AG3PO4/MCM-41 (PS), AG3PO4/MCM-41 (DS) and the pure AG3PO4) are shown in Fig. 2. Several diffraction peaks can be identified which are consistent with those of body-centered cubic structure of standard AG3PO4 (JCPDS No. 06-0505). Presence of these XRD reflections confirmed that parts of AG3PO4 crystals were embedded inside pores or onto surface of MCM-41. There are also a few other diffraction peaks in AG3PO4/MCM-41(DS) which are not belong to AG3PO4, designated them with a Δ symbol in Fig. 2c. They were most probably due to AGBr which could be formed during our synthesis procedure for preparation of AG3PO4/MCM-41(DS). This identification for AGBr was based on JCPDS Card no. 06-0438. Presence of AGBr could be the result of little solubility of AG3PO4 and/or presence of free AG+ in the synthesis medium reacted with bromide of the template species. This is not outlying that part of bromide may be remained as occluded or adsorbed anions in MCM-41 following the subsequent calcination. Morphological and compositional analysis: The SEM micrographs of the prepared samples are shown in Fig. 3. The MCM-41 samples consisted of agglomerates of particles with different sizes about 30-50 nm. The distribution of AG3PO4 into the composites cannot be distinguished easily from the SEM micrographs unless in some parts they are appeared separately and irregular. As it is observed from Fig. 3a when AG3PO4 is synthesized on its own it was crystallized as nano-flakes with an average thickness of 40-100 nm. Figure 4a and b showed the spectra of the EDX analysis of AG3PO4/MCM-41(PS) and AG3PO4/MCM-41(DS), respectively. Both of them clearly showed the presence of silicon, phosphorous and silver in the structures. However, Fig. 4b showed additional signal due to bromine which arose in AG3PO4/MCM-41(DS). This was in accord with the XRD data described above which indicated reflection of AGBr (Fig. 2c) in the X-ray diffraction pattern of AG3PO4/MCM-41(DS). DRS study: The light-absorbance property of AG3PO4, MCM-41, AG3PO4/MCM-41(PS) and AG3PO4/MCM-41(DS) were checked by UV–vis diffuse reflectance method, as shown in Fig. 5. The pure AG3PO4 showed absorption band with a maximum around 500 nm. 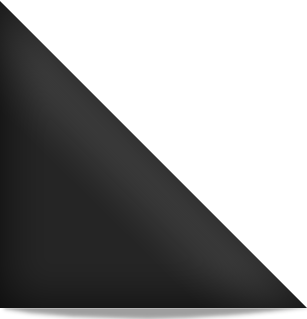 Clearly, the pure white powder MCM-41 does not absorbed visible light and therefore appears as straight line with no peaks (Fig. 5d). The AG3PO4/MCM-41(PS) and AG3PO4/MCM-41(DS) exhibited the same maxima as AG3PO4 but with lower intensity compared to that of AG3PO4. This was reasonable because the light-absorbing materials (AG3PO4) were consisted only part of these composites. By extrapolating the straight line to the x-axis in this plot, Eg of the AG3PO4, AG3PO4/MCM-41(DS) and AG3PO4/MCM-41(PS) were estimated to 2.4, 2.3 and 1.9 eV, respectively. Photocatalytic activity measurement: The Photocatalytic performances of the prepared photocatalysts under visible light irradiation are shown in Fig. 6 for degradation of MB. Fig. 3(a-d): Scanning electron micrographs for (a, b) AG3PO4 and (c, d) AG3PO4/MCM-41(PS). The data are obtained following a two-step experiments. At first period the mixture of the catalyst and dye solution was stirred for 15 min in the dark and then the mixture was exposed to visible light. This result suggested that the MB dye was effectively decomposed with the assistance of the as-synthesized AG3PO4/MCM-41(PS). For comparison, the elimination of MB with AG3PO4 and MCM-41 nano-particles were also investigated under identical conditions. It is found that most of the adsorption of dyes occurs within 15 min and the AG3PO4/MCM-41(PS) nano-composite exhibited highest adsorption of MB compared to those of AG3PO4 and MCM-41. The higher adsorption of dyes could lead to the easier and faster photocatalytic degradation processes. The photocatalytic reactions are typically surface-based processes and the photocatalytic efficiency is closely related to the adsorption property of dyes on the surfaces of photocatalysts25. The pure MCM-41 has no photocatalytic activity and little reduction of MB is due to progressive adsorption of MB on the surface of MCM-41. Comparing with the pure MCM-41, AG3PO4 exhibited much higher photocatalytic activities and AG3PO4/MCM-41 exhibited the highest photo catalytic activity. Photo catalytic degradation of 2,4-dichlorophenol was studied with AG3PO4/MCM-41(PS). The degradation rate was increased by increasing the amount of the photocatalyst. It found that an optimal catalyst dose is 40 mg/50 mL for DCP degradation. The effect of pH was also studied. It was found that a neutral or slightly acidic medium would be suitable. It selected pH 5 for DCP degradation. Figure 7 showed the concentration changes of DCP with time under different conditions. These conducted experiments indicate that the light and catalyst are essential for efficient degradation of DCP (Fig. 7a). The degradation is more rapid when our source of krypton lamp is used instead of visible light. The reaction rate plots were calculated for degradation of MB with the photocatalysts. The pseudo-first-order plots were shown in Fig. 8. The data should be fitted with ln (C0/C) = kobst equation for a first-order kinetics. In this equation kobs (min1) was the apparent rate constant, C0 and C are the initial concentration and concentration at reaction time t for the probe molecule, respectively. The kobs are calculated from the slopes of the straight lines obtained by plotting ln (C0/C) versus irradiation time. The results summarized in Table 1. The Table 1 showed that the correlation coefficients were very low for AG3PO4/MCM-41(PS) and MCM-41. This clearly indicated that the main reduction of MB in presence of AG3PO4/MCM-41(PS) is not due to photocatalytic degradation but because of adsorption. The correlation coefficient for this sample using a second-order reaction rate was also shown in Table 1. It was evident that the photocatalytic degradation of DCP with AG3PO4/MCM-41(PS) was fitted with a pseudo-first-order reaction (Fig. 9). The different behavior of AG3PO4/MCM-41(PS) for elimination of MB and DCP was probably due to presence of positive charge on MB and absence of charge on DCP. The kinetics results for 2,4-DCP were summarized in Table 2. Two simple methods (post-synthesis and during-synthesis) were used for the preparation of AG3PO4/MCM-41. Parts of the formed AG3PO4 are embedded inside the pores as separate phase and parts of them most probably immobilized on the surface of MCM-41. Degradation of methylene blue and 2,4-dichlorophenol were investigated for evaluation of the photocatalysts. The photo catalytic activity of the resulted AG3PO4/MCM-41 hetero-structures prepared via post-synthesis procedure was higher compared to that of AG3PO4/MCM-41 prepared during-synthesis of MCM-41. It is believed that MCM-41 provides appropriate vicinity for distribution of photo catalytically active AG3PO4 for designing a novel photocatalyst with high efficiency. The research was supported by University of Guilan under Grant-1392-6. The authors are highly thankful to University of Guilan for providing financial assistance of this research project. Beck, J.S., J.C. Vartuli, W.J. Roth, M.E. Leonowicz and C.T. Kresge et al., 1992. A new family of mesoporous molecular sieves prepared with liquid crystal templates. J. Am. Chem. Soc., 114: 10834-10843. Bi, Y., H. Hu, S. Ouyang, Z. Jiao, G. Lu and J. Ye, 2012. Selective growth of metallic Ag nanocrystals on Ag3PO4 submicro‐cubes for photocatalytic applications. Chem.-A Eur. J., 18: 14272-14275. Bi, Y., S. Ouyang, J. Cao and J. Ye, 2011. Facile synthesis of rhombic dodecahedral AgX/Ag3PO4 (X= Cl, Br, I) heterocrystals with enhanced photocatalytic properties and stabilities. Phys. Chem. Chem. Phys., 13: 10071-10075. Chen, X., Y. Dai and W. Huang, 2015. Novel Ag3PO4/ZnFe2O4 composite photocatalyst with enhanced visible light photocatalytic activity. Mater. Lett., 145: 125-128. Ciesla, U. and F. Schuth, 1999. Ordered mesoporous materials. Microporous Mesoporous Mater., 27: 131-149. Coll, C., R. Martinez‐Manez, M.D. Marcos, F. Sancenon, J. Soto and R.K. Mahajan, 2009. Efficient removal of anionic surfactants using mesoporous functionalised hybrid materials. Eur. J. Inorg. Chem., 2009: 3770-3777. Cui, C., Y. Wang, D. Liang, W. Cui and H. Hu et al., 2014. Photo-assisted synthesis of Ag3PO4/reduced graphene oxide/Ag heterostructure photocatalyst with enhanced photocatalytic activity and stability under visible light. Applied Catal. B: Environ., 158: 150-160. Golmojdeh, H., M.A. Zanjanchi and M. Arvand, 2013. BiVO4‐Silica composites containing cobalt phthalocyanine groups: Synthesis, characterization and application in photodegradation of 2, 4, 6-Trichlorophenol. Photochem. Photobiol., 89: 1029-1037. Guo, J., S. Ouyang, P. Li, Y. Zhang, T. Kako and J. Ye, 2013. A new heterojunction Ag3PO4/Cr-SrTiO3 photocatalyst towards efficient elimination of gaseous organic pollutants under visible light irradiation. Applied Catal. B: Environ., 134: 286-292. Hernandez-Alonso, M.D., F. Fresno, S. Suarez and J.M. Coronado, 2009. Development of alternative photocatalysts to TiO2: Challenges and opportunities. Energy Environ. Sci., 2: 1231-1257. Jaroniec, M., M. Kruk, H.J. Shin, R. Ryoo, Y. Sakamoto and O. Terasaki, 2001. Comprehensive characterization of highly ordered MCM-41 silicas using nitrogen adsorption, thermogravimetry, X-ray diffraction and transmission electron microscopy. Microporous Mesoporous Mater., 48: 127-134. Li, G. and L. Mao, 2012. Magnetically separable Fe3O4-Ag3PO4 sub-micrometre composite: Facile synthesis, high visible light-driven photocatalytic efficiency and good recyclability. RSC Adv., 2: 5108-5111. Liang, Q., W. Ma, Y. Shi, Z. Li and X. Yang, 2012. Hierarchical Ag3PO4 porous microcubes with enhanced photocatalytic properties synthesized with the assistance of trisodium citrate. CrystEngComm, 14: 2966-2973. Liu, R., P. Hu and S. Chen, 2012. Photocatalytic activity of Ag3PO4 nanoparticle/TiO2 nanobelt heterostructures. Applied Surf. Sci., 258: 9805-9809. Schuth, F., 2001. Ordered mesoporous materials-state of the art and prospects. Stud. Surf. Sci. Catal., 135: 1-12. Sud, D. and P. Kaur, 2012. Heterogeneous photocatalytic degradation of selected organophosphate pesticides: A review. Crit. Rev. Environ. Sci. Technol., 42: 2365-2407. Tang, C., E. Liu, J. Fan, X. Hu, L. Kang and J. Wan, 2014. Heterostructured Ag3PO4/TiO2 nano-sheet film with high efficiency for photodegradation of methylene blue. Ceramics Int., 40: 15447-15453. Tang, P., H. Chen and F. Cao, 2012. One-step preparation of bismuth tungstate nanodisks with visible-light photocatalytic activity. Mater. Lett., 68: 171-173. Tong, H., S. Ouyang, Y. Bi, N. Umezawa, M. Oshikiri and J. Ye, 2012. Nano-photocatalytic materials: Possibilities and challenges. Adv. Mater., 24: 229-251. Xu, Y.H., C.J. Liu, M.J. Chen and Y.Q. Liu, 2011. A review in visible-light-driven BiVO4 photocatalysts. Int. J. Nanoparticles, 4: 268-283. Yao, W., B. Zhang, C. Huang, C. Ma, X. Song and Q. Xu, 2012. Synthesis and characterization of high efficiency and stable Ag3PO4/TiO2 visible light photocatalyst for the degradation of methylene blue and rhodamine B solutions. J. Mater. Chem., 22: 4050-4055. Zanjanchi, M.A. and S. Asgari, 2004. Incorporation of aluminum into the framework of mesoporous MCM-41: The contribution of diffuse reflectance spectroscopy. Solid State Ionics, 171: 277-282. Zhang, H., H. Huang, H. Ming, H. Li, L. Zhang, Y. Liu and Z. Kang, 2012. Carbon quantum dots/Ag3PO4 complex photocatalysts with enhanced photocatalytic activity and stability under visible light. J. Mater. Chem., 22: 10501-10506. Zhang, L., H. Wang, Z. Chen, P.K. Wong and J. Liu, 2011. Bi2WO6 micro/nano-structures: Synthesis, modifications and visible-light-driven photocatalytic applications. Applied Catal. B: Environ., 106: 1-13. Zhao, F.M., L. Pan, S. Wang, Q. Deng, J.J. Zou, L. Wang and X. Zhang, 2014. Ag3PO4/TiO2 composite for efficient photodegradation of organic pollutants under visible light. Applied Surf. Sci., 317: 833-838.